Trustee Schmidt was first elected in November 1993 and re-elected in 1997, 2001, 2005, 2009, 2013 and 2017. Tom sincerely appreciates the continued confidence that Township residents have shown in his service as a Trustee. 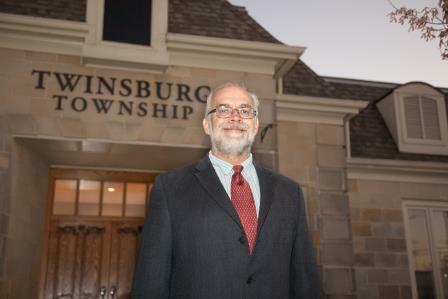 Mr. Schmidt is a lifelong Township resident and graduated from R. B. Chamberlin High School in Twinsburg. Prior to serving as Trustee, Tom served as a Township Board of Zoning Appeals Member. Mr. Schmidt currently serves as Board Vice Chair, with liaison duties including Roads, Parks, and Solid Waste Disposal/Recycling, and additional responsibilities including Records Commission Member, Summit County Health District Advisory Council Member, Northeast Ohio Regional Sewer District Suburban Council of Governments Alternate, Twinsburg Chamber of Commerce Alternate, Western Reserve Cable Consortium Alternate, and JEDD Board Member. Tom Schmidt lives in his family farmhouse on East Aurora Road and has three children. Contact Trustee Schmidt via telephone at (330) 840-8600. Contact Trustee Schmidt via email at tschmidt@twinsburgtwp.com.